In an inspiring and motivating speech at the UN Women’s Conference Secretary of State Clinton set out a clear approach for women’s rights worldwide. 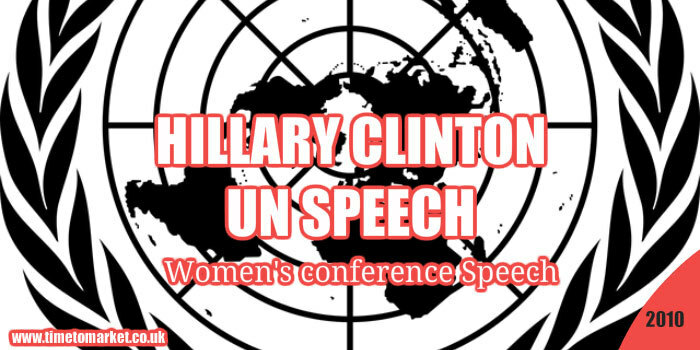 And this Hillary Clinton UN speech was certainly clear and unambiguous. She’s not the most animated of speakers. But there was a memory of a hand-jabbing President Clinton ten years ago–nonetheless she made good use of her speech material. Stories, anecdotes and personal experiences all featured. That was clearly a reference to the Taleban, but it could equally apply to other more peaceful parts of the World. We can hope that the USA’s championing of women’s rights does not herald new foreign interventions. In a good, well-drafted 30 minute speech Secretary Clinton paced herself and paused well. She received a well-deserved acclamation from her audience. You can discover plenty of public speaking tips with our regular series of tips, podcasts and videos. There’s plenty for every public speaking occasion and event. So, please don’t hesitate to find out more. 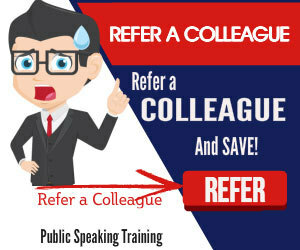 And, of course, when you are ready to take your public speaking skills even further, please don’t hesitate to get in touch. 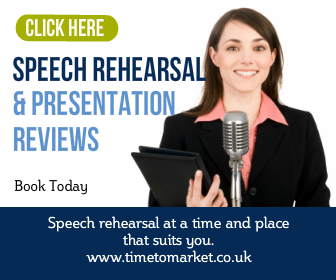 Because we can offer a whole range of public speaking skills courses and coaching sessions.